Why live at Wailea Palms #2802? Wailea Palms is the second phase of the Palms development. Phase I, known as The Palms at Wailea was built in 1990. Phase II, known as Wailea Palms was built in 1992. Wailea Palms does not allow short-term vacation rentals. Only rentals of six month or longer are allowed. There is a lower density with only 120 units on 14.5 acres compared to The Palms at Wailea with 152 units on 16.7 acres which allows short-term vacation rentals. Wailea Palms Residences is quieter with less activity as an owner occupied development. 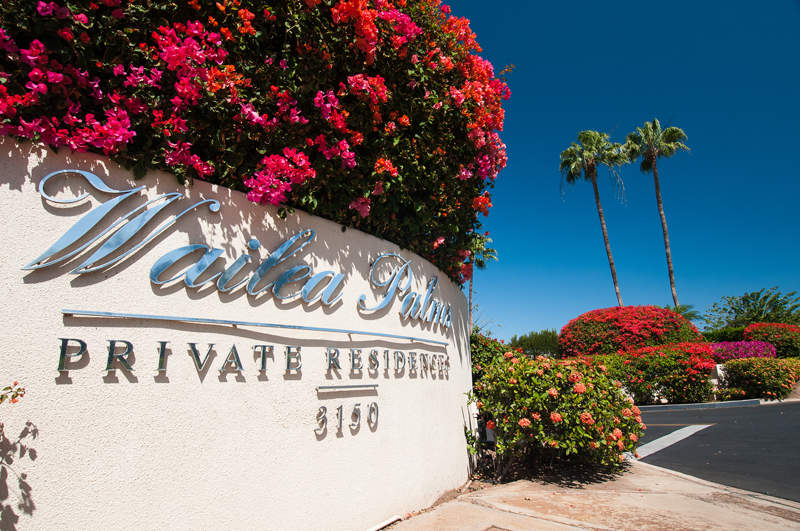 Wailea Palms Apartment #2802 is spacious at 1,559 interior square feet with 256 sq. ft. of outdoor covered lanai space. The apartment is perfect for the indoor/outdoor Maui lifestyle with ocean views. This unit offers two master suites and three full baths with an open floor plan that affords spectacular ocean views. Wailea Lifestyle awaits with three world-class golf courses, the Wailea Tennis Center, ocean sports, shopping and dining at The Shops at Wailea – all of this within easy walking distance to Wailea Palms. Tastefully decorated and only 5 minutes from some of the finest beaches in the world, this condo affords you the Lifestyle that Wailea has to offer.